As strange as it is to admit, the UK charts are actually fairly interesting right now. For the most part, the onslaught of one-off novelties and talent show chaff has been consigned to the history books, replaced by genuinely talented acts making headway naturally. 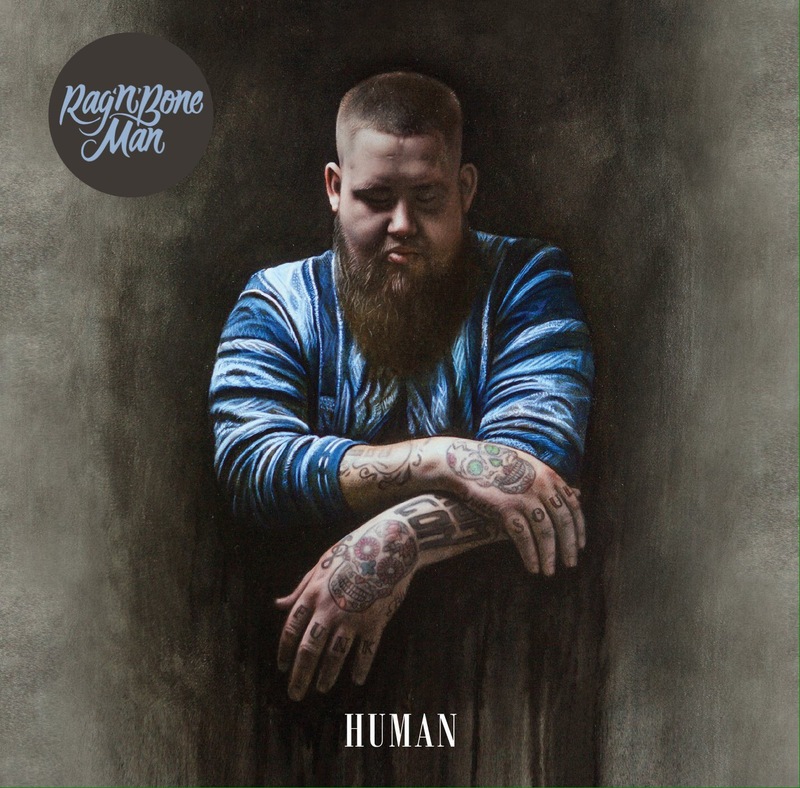 And still riding high in the Top 10 at the time of writing is Human, the airwave-conquering smash from 32-year-old Rory Graham, aka Rag’n’Bone Man. But unlike some of the more recent breakout successes who seem to have come out of nowhere, he’s actually been around for a lot longer, initially finding his feet in hip-hop and drum ‘n’ bass circles supporting such flagship artists as Pharaohe Monche and KRS-One. Since then his sound has transitioned to a more contemporary take on old-school blues, breaking out with Human and looking to maintain some longevity with his debut album of the same name. Listening to Human as a whole though, there’s still a bit of work for Graham to do here if that household name status is to be maintained, and that mostly comes when placing him next to the artist he’s most likely to be compared to – Hozier. With Hozier’s own brand of blues, it’s melded with elements of soul, rock, folk and R&B, as well as invoking some genuinely interesting and powerful imagery; Graham may have the soul and R&B, but things are a lot more straight-laced lyrically, never as interesting or transgressive even at its best. A prime example is the title track itself – it’s a fairly standard ‘nobody’s perfect’ song, and while its intentions aim further to look at the human condition on a larger scale, there’s very little in the lyrics that imply that’s the case. It’s a running theme on this album, especially in the love songs like Love You Any Less and As You Are – they serve their purpose as earnest relationship songs, but achieve little more. Of course, there are exceptions like Ego or especially Odetta, focusing on how the birth of a man’s child steers him away from his self-destructive lifestyle, but on the whole, most of Human really feels too broad and lacking in detail to do anything beyond the bare minimum. But then again, that’s probably the best fit for Graham’s voice, at least 95% of the the reason for his success. And it’s not hard to see why in all honesty; he has a fantastic voice, a cavernous baritone bursting with passion and soul that makes up for the fact that he really isn’t the most nuanced performer. To give him credit, the writing on this album at least matches the capability of his range, sticking to big emotions that maximise the impact of his stellar contributions. It’s why the likes of Bitter End or the title track work as well as they do, in that they stick in a comfortable lane sonically, but Graham makes it feel so effortless that it never feels too run-of-the-mill. It’s something of a different story when he tries to expand his repertoire though, in that the results do vary. There’s the album’s solitary rap verse on Ego that’s really well-constructed and flows seamlessly with the tracks gentle piano and horns, but then there’s Odetta which can’t match gentle introspection of its lyrics, or Grace which sounds like a beefed-up Sam Smith track, right down to the slightly muffled vocal enunciations. The instrumentation is similarly hit-or-miss, though it tends to bend further towards the latter. A lot of Human feels very muted and saturated in order to hone in on Graham’s voice, the only real core sound being backbeats with occasional sprinkles of piano and horns. And to be frank, with a vocal style as steeped in rich, earthy rawness as this, it can all feel a bit cold, especially on its thinnest like on Odetta or As You Are. The juxtaposition really does jar, combining such a mechanical canvas with a voice whose biggest selling point is its natural soul in a way that doesn’t even try to be subtle. When it’s blended with a few more embellishments, the results are a lot better, like with the thicker horns and piano on Ego or the swinging jazzy strings on Arrow which feel like a welcome draw of inspiration from Gregory Porter. It’s definitely a standout moment on this messy, really rather unfocused debut. For as much as its title track has been grabbing attention across the globe, its parent album doesn’t have that same universal spark, hitting clearly defined peaks and troughs in every aspect that prevent it from being a full victory. There’s still quite a bit to like regardless, and in terms of presence and power, Graham is virtually second to none, but his formula could do with just a slight bit of tinkering to make the most of his strengths. There are at least enough solid single choices to get sufficient mileage out of this album, but when that’s the most emphatic praise that can be given, a bit more could be done next time around. ‘Human’ by Rag’n’Bone Man is out now on Columbia Records.